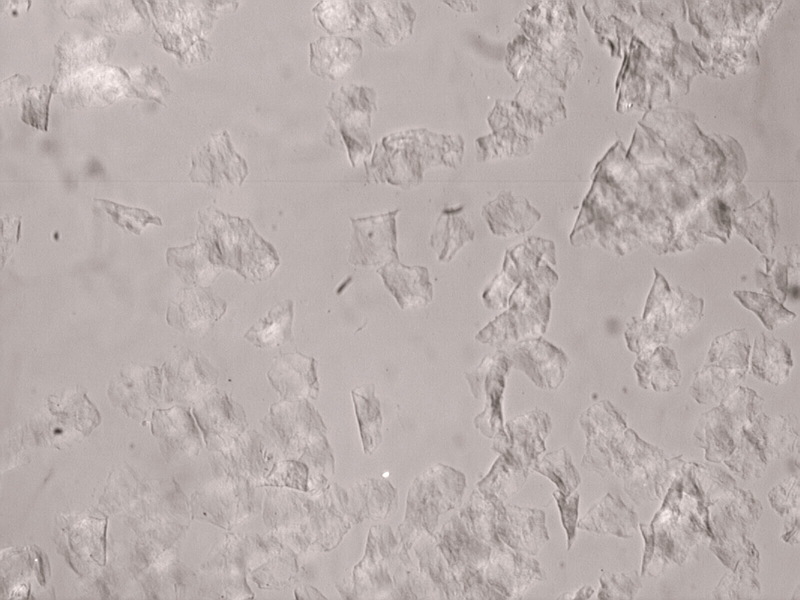 Human skin flakes tend to be equant in planar view, as opposed to the more assymetric pattern seen in most other animal dander. They often exhibit weak stress birefringence in some areas, as seen here by the bight patches in the flakes, due to the plastic deformation that occurs as they detach from the body. Human dander varies from isotropic to particles with stress birefringence. The stress birefringence of human skin flakes tends to be low. The refractive index of human skin flakes tends to be around 1.550 but will vary with stress and oil content.